2NDS. 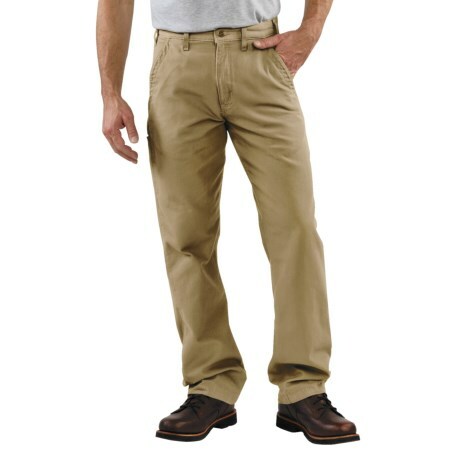 Cut to fit over work boots, Carhartt's Relaxed Fit canvas khaki pants are a sturdy 8.5 oz. canvas with Carhartt's relaxed fit in the seat and thigh. Available Colors: GOLDEN KHAKI, MOSS, PUTTY, MUSHROOM, CHARCOAL.